Bee will be 20 months in a week. Wow, can’t quite believe it myself sometimes. 20 months already! And I have been debating for a while about whether to move her to a toddler bed. With my eldest we waited until she was 2. 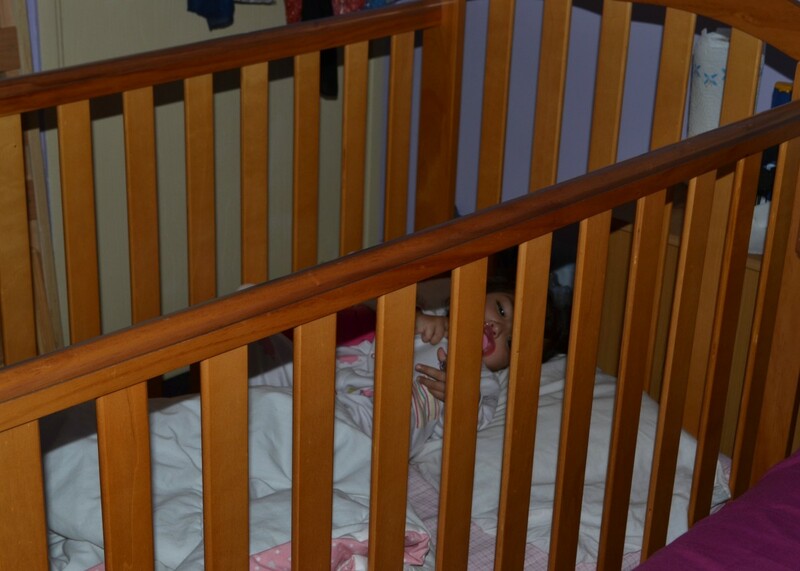 She even stayed in our room in her cot. And when she was 2 we decorated her room, got her a toddler bed and it was all a big adventure for her. Bee, unfortunately, does not have her own room as we only have 2 bedrooms. And as much as I love her, I draw the line at decorating my room in a Cbeebies theme to keep her happy. So why the rush in moving her to a toddler bed? There is no real guidelines as to when your child should move to a toddler bed or even indeed a normal bed. 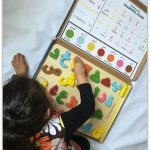 It is all about common sense, when you feel your child is ready, or when it becomes necessary. In our case it was necessary. Bee, being the acrobat that she is, has become a pro at climbing out of her cot for the past few months. Which isn’t particularly safe to be honest. 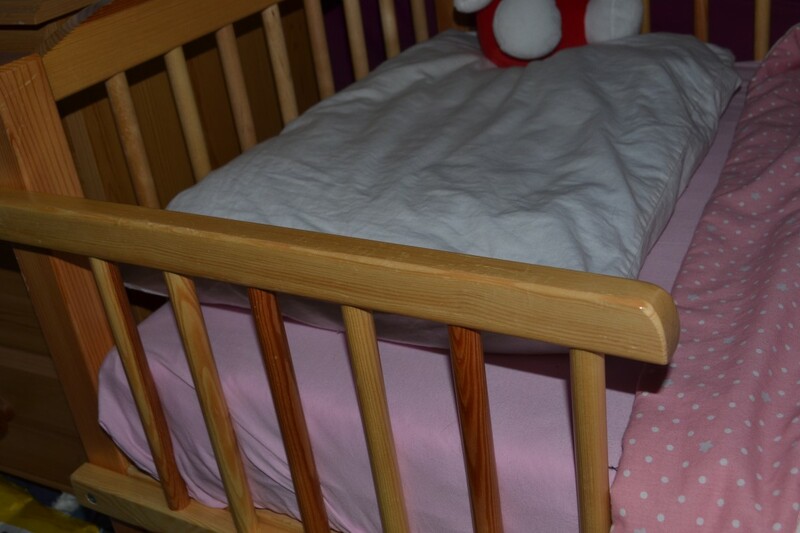 In addition to being a climber, she bangs her head at night on the cot bars. And when I say bang, I really do mean BANG! Which again can’t really be safe. Her poor head!! It also woke her up so we would all have an unsettled sleep as it would happen at least 2-3 times a night. I still had Munchkin’s toddler bed in storage so I decided to dig it out from the depths of the shed, and try Bee with it. 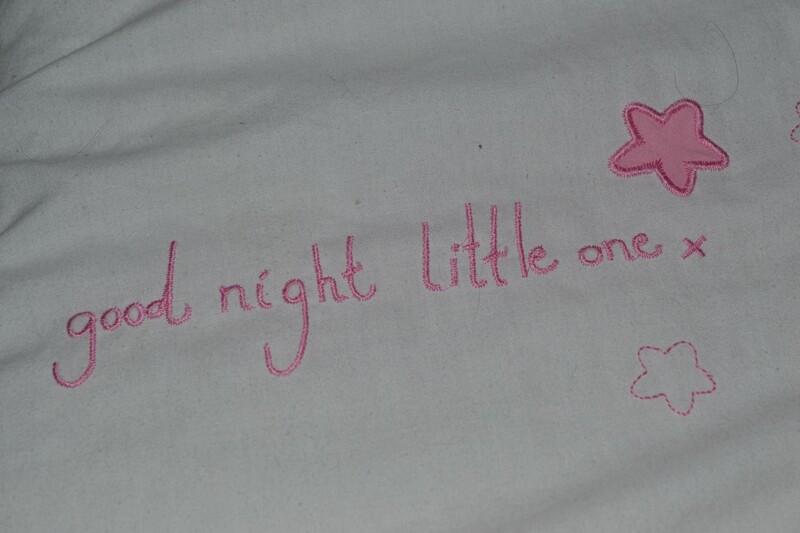 So Bee had her last nap in the cot and we said goodbye to it! Packing the cot away was quite emotional! 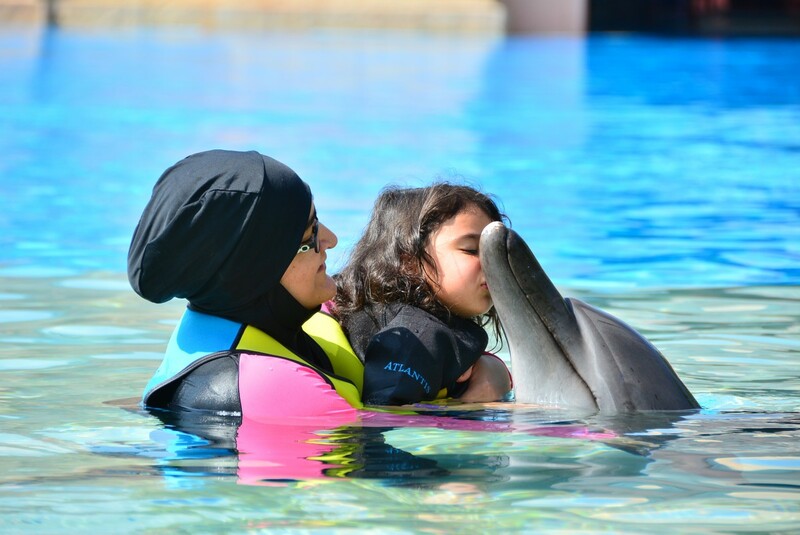 You just cant’t hide away anymore from the fact that your little one is growing up!! After feeling emotional, we said ‘Hello’ to the toddler bed! I did worry as to how she would take to it but I had nothing to worry about. As soon as she saw the bed she jumped on to it and started to arrange her teddy bears and I had no problem getting her to sleep that night. OK maybe I am lying slightly there! She did try to get out and trash the room, but a firm NO soon got her back into bed! As a precaution I put her cot mattress on the floor incase she fell. And fall she did. At 1am I found her fast asleep on the mattress on the floor. We now have a Tomy side rail up to prevent her from falling. That was also in the depths of the shed in amongst the spiders; I kept everything of Munchkin’s! Making the change to the toddler bed was the best decision to make, I just wish I had done it sooner. It would have saved her poor head from all those bangs! So when did you make the move from cot to bed? Early? Or wait until your little one was a lot older? My son moved from his crib to a twin mattress on the floor at about 2 1/2, probably a week or so before potty training 😛 That was the motivation, because he was going to need to get in and out by himself. I put together some sort of frame-like item for the mattress to sit on a year or so after that. aw, her poor little noggin. hope there’s no more falls & lots of easy sleeping from now on. I can’t remember when mine went into beds, but I think I waited until they wanted to move and it won’t a problem. They grow up so quickly don’t they. So glad she settled well. 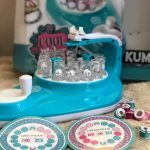 Emma (My Little 3 and Me) recently posted…Boxes of Exciting News! J is nearly 3 and we still haven’t found the emotional courage needed to make the move to a big boy bed. I think I am more attached to his cot than he is! Bless! I well remember that stage, with twins it was a nightmare! They usually ended up in the same bed too!! TwinsplusTwo recently posted…“Combat” or “Survival” Mode? We moved my eldest at 24 months but he couldn’t climb, and the baby is 14 months and a monkey so I am sure it won’t be long for him! 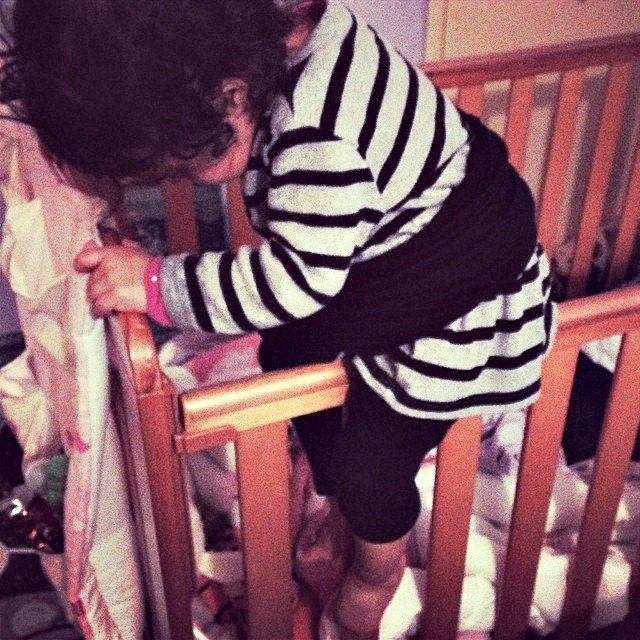 My daughter is 31 months and only showed signs of wanting to climb out of her cot this week. I’m excited about converting her bed but feel a little sad about it too! I think time frame will very from child to child… when they are ready you will know. It sounds like you made a good call. I am sure she will get used to it very soon. So glad the transition from cot to bed was not too traumatic for you. 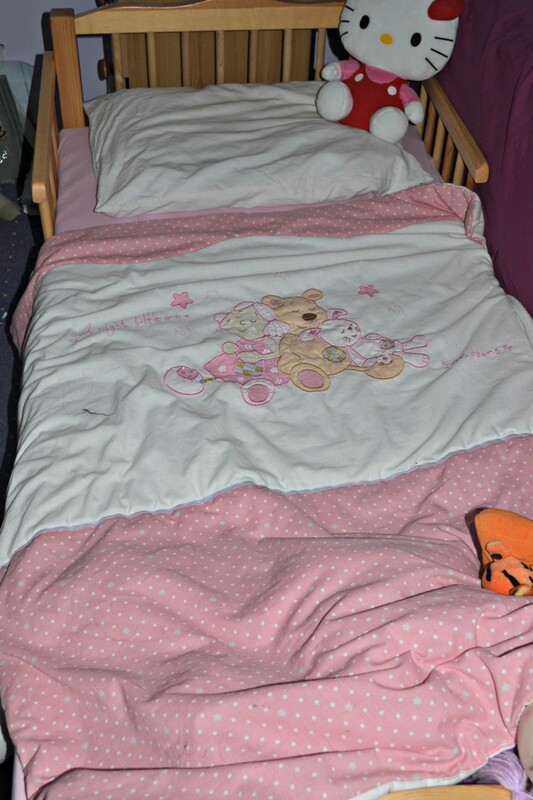 Ours seemed to move pretty early, Seren at 20months- because we needed the cot and wanted to make sure she’d adjust before the boys arrival. Despite thinking we’d keep the boys in cots for as long as possible, like Bee they were little acrobats and went over just after they turned 2. Glad the move was relatively painless for you. we were quite lucky with our transition to a proper bed. 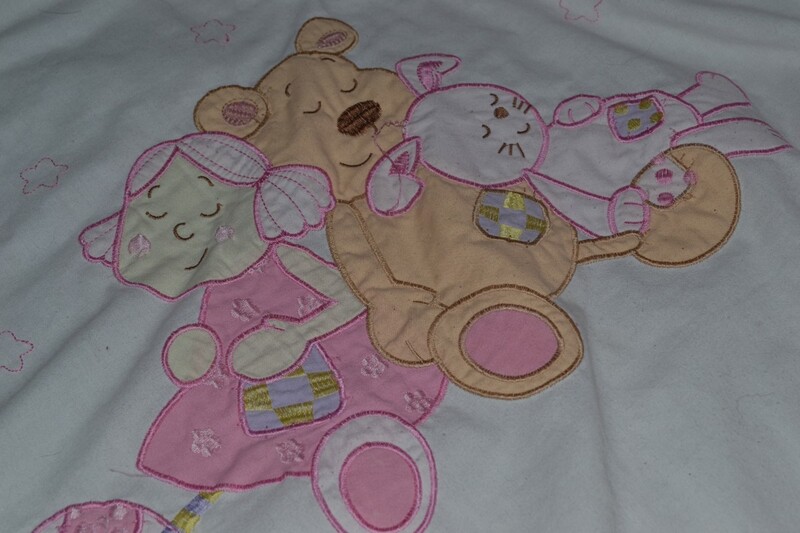 Because we co-slept there was no real worry about getting out of the cot etc so the transition was relatively easy! Hope it goes well for you! Lucie Aiston recently posted…A Heartfelt Poem written by a Friend! Interesting Foz, as Mister Pop is banging his head a lot too. But he is only 15 months old and turns a lot during his sleep, so I am not sure a Toddler bed is appropriate yet. But soon, I’ll have to make the changes too, I think, even more if he starts doing some climbing, definitely not safe!! They are growing up so fast. I did not want to believe it….Happy to see that Bee enjoyed her new bed. Have a great evening. Love to all.